Australian Cycling Holidays offers self-guided, relaxing cycling getaways. Everything is organised for you, all you have to do is pedal! 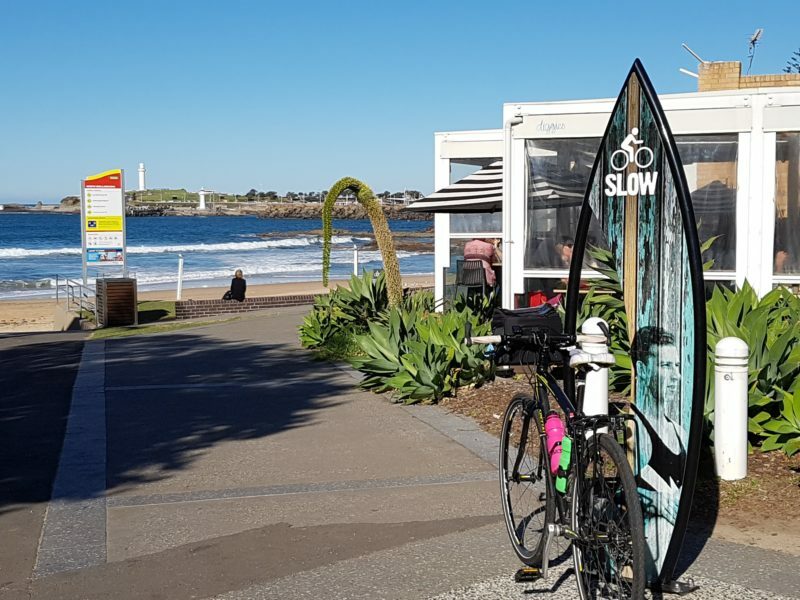 Their South Coast Cycle Tours NSW allow you to explore the idyllic South Coast region, just south of Sydney, at your own pace on stunning bicycle tours all year round. Tours range from two to seven days. Their tours are suitable for both beginners to experienced cyclists, with specifically designed kid’s rides and family friendly trips available. From a two day cycling trip with the kids, to a week long, bay hopping ride, or a weekend escape down the coast, there is something for everyone. They meet you at the start and end of each ride – details are given in your Itinerary. Inclusions: All tours are self-guided and include hire of bikes and equipment, accommodation each night, detailed full colour maps and ride notes, Cyclewayz app electronic navigation, breakfast, luggage transfer and roadside assistance. Australian Cycling Holidays also offers a full touring bike hire service. The package includes bikes, panniers, helmets, lights, trip computers, repair kits, hi-vis vests and more. Starts and finishes in Nowra NSW. Arrive by train from Sydney. 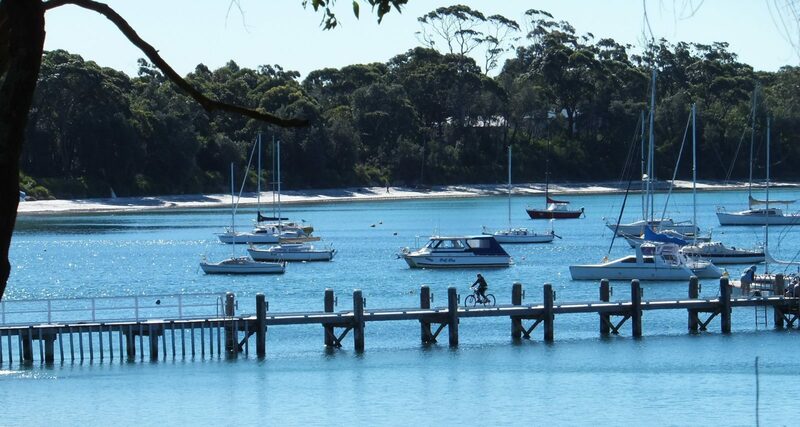 Explore the beautiful, tranquil Shoalhaven countryside and Jervis Bay Marine park by bike, boat and on foot with this lovely three-day multi-activity tour! 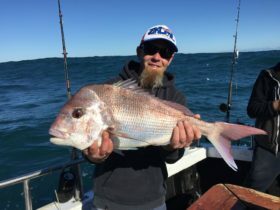 The Shoalhaven is renowned for its stunning rural and coastal scenery, and Australian Cycling Holidays take you through some of the most beautiful sections, from the Shoalhaven River at Nowra to Huskisson, a quaint fishing village by the beautiful Jervis Bay. Tour includes two days’ cycling, an afternoon’s eco-adventure cruise around the marine park, and the chance to walk to Hyam’s beach, with the whitest sands in the world, while staying at a charming B and B.
Accommodation, breakfast, bikes, maps, luggage transfer and road-side assistance all included. Take the whole family on this gentle, three-day cycling tour along the Illawarra Coast at any time of the year! 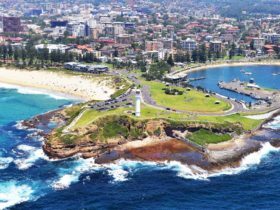 Using bike paths and a few small roads, this tour starts in the beachside suburb of Thirroul and follows the coast south to the dramatic headland and lighthouse in Kiama. Children love this ride, which starts out flat but has a few hills by the last day. 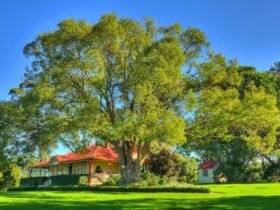 There’s plenty to see and do along the way, with stunning beaches, parks, bushland walks, rivers, a temple, and plenty of playgrounds and cafes. Swim, explore, relax – this is a great tour! This family-friendly tour is easily accessible from Sydney, and the Sydney International Airport, by train and car. Tour includes bikes, accommodation, after cycle day relax pack, maps and ride notes, luggage transfers and roadside assistance. They meet you at Thirroul Station and you return from Kiama Station. 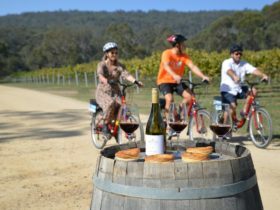 This spectacular two-day self-guided cycle tour is just south of Sydney and is available all year round! 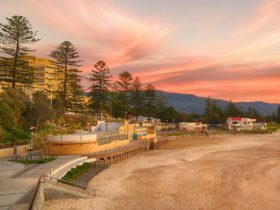 Perfect for a weekend or short break, you get to explore the beautiful South Coast – from the ancient gums of the Royal National Park, the bustling town of Wollongong, to the dramatic rural landscapes surrounding Kiama. With plenty of places to stop for a swim, this is a particularly good summer ride! Tour includes bike/helmet hire, overnight accommodation at a 4.5 star beachside hotel including breakfast; maps and ride notes (along with local recommendations), luggage transfers, a celebratory drink each day and roadside assistance should you need it. Start at Waterfall train station and finish at Kiama Station, with easy access to Sydney. Rating: Moderate. 70 per cent bicycle paths/30 per cent on road. Spend an invigorating week exploring the South Coast at your own pace with this self-guided six-day multi-activity tour. 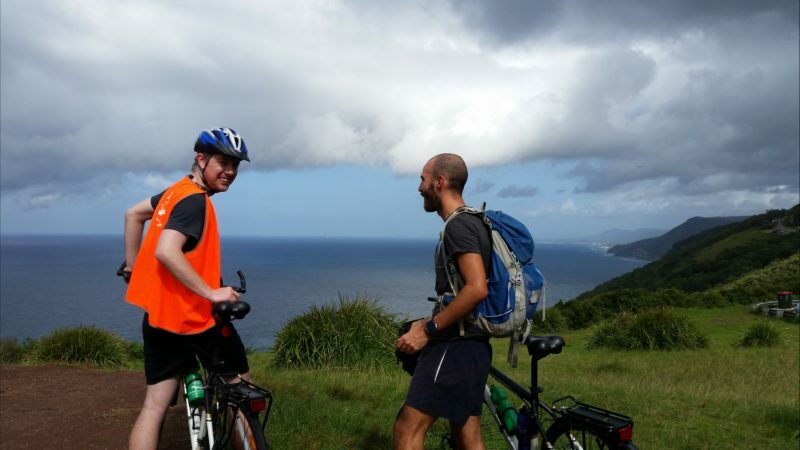 The tour includes 4.5 days’ cycling, one day’s hiking the stunning Kiama Coastal Walk (or simply have a rest day if that takes your fancy), and an afternoon’s eco-adventure cruise, there is something new to discover every day on this tour! From the ancient gums of the Royal National Park to the crystal clear waters of Jervis Bay Marine park, you will pass through coastal towns, forests and farmlands. A great Spring, Winter or Autumn tour. 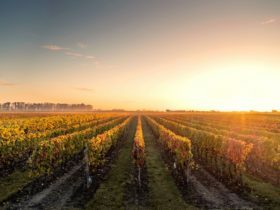 Included in the cost of your tour are bikes and equipment hire; accommodation and breakfast (B and B or hotel); maps and ride notes; luggage transfers; boat transfer; eco-adventure cruise on Jervis Bay; roadside assistance; celebratory drinks.